You know how some people remember what other people look like? I remember what they say. I recall their words… the words that rolled off their tongues and slid onto mine. The sentences they put together. Beautiful sentences, especially those I read on a page, make my brain tingle. I can almost picture the words scooting off their chairs and getting ready to dance. Words pirouette and twirl with grace. They lunge and throttle. They prattle. They build up and tear down. They romance with their truth, and, almost as deftly, with their lies. I write to join in that dance. I write to reexperience. I write to understand. I write to record and revisit and entertain. I write to bear witness. I write because… that’s just what I do. It’s who I am. Language, almost as much as love, spirit and curiosity, gets me through the day. Whilst scrubbing my countertops for Passover, writer Jennifer Lang emailed me an invite to join a Blog Hop of women writers. Answer these four questions about writing, she said, and share them with three other writers—and ask them to do the same. I'm a blogging immigrant who has just passed through customs. But I'm always up for an adventure, for the chance to try something new. 1 What am I working on/writing? I’m writing a memoir called How to Laugh (and Cry) Through Breast Cancer, which I’ve scribbled in fits and starts since I was diagnosed in late 2010 while nursing my baby. I wrote a few chapters and then slammed the door shut, declaring the whole cancer business “history”. Reclaiming my old seat in Jerusalem's National Library near the back window, I threw myself back into researching and writing my doctoral dissertation in… history! But when an oncologist advised me last summer to have a prophylactic oophorectomy, I was stopped in my tracks. Healthy me…back in breastcancerland? I wiped away my tears, bid farewell to my ovaries and fallopian tubes (they’d served me well, I have three great boys), and double-clicked on the computer file marked “breast cancer book”. While I do pen pieces about other topics that capture my passion, such as raising awareness about women and cardiovascular disease and promoting greater inclusion between children with and without disabilities, most days you’ll find me laughing-and-crying-through-cancer, so to speak. 2 How does my writing differ from others of its genre? Hmmm… there are so many ways to answer this. Don't most writers try to blend knowledge, understanding, humor and emotion? I’m a religiously observant Jewish American-Israeli woman, so I bring that textured identity to my writing and to my story. When I reflect on my childhood and earlier years, I am rooted in the Midwest. When I discuss my adult life, diagnosis and treatment, I am grounded in my current home, the magical and mystical city of Jerusalem. I share my experience through the quotidian sensory details of life. In those particulars, one finds universality. I invite readers into my thought processes, and I'm quite fearless when it comes to disclosing (though not inappropriate). But the real "difference" in my cancer book is its abiding message of hope that hails from an unexpected and untraditional corner. Even before the scars from my lumpectomy healed, I joined an Israeli-Palestinian breast cancer support group, hoping to find something good in something bad. On the very first day, I spotted an intelligent, bold and captivating Muslim Palestinian woman named Ibtisam Erekat. We got to talking and became friends… Now we’re practically sisters. Think about illness allowing women whose countries are basically at war to connect across a concrete separation wall and embrace each other as family. And the circles of their families widening the embrace, and welcoming each other as kin. Powerful, right? In essence, we all tackle this very basic question: how can each one of us turn bad things into good? We cannot control what will happen to us, and adversity is likely to fall into our laps, one way or another. Yet we can dictate our responses to those challenges, and what we make possible. I write to empower other women and men through my message of hope and humor. I write to remind readers that most women do survive breast cancer– and thrive! And yes, I also write to go inside. I’ve discovered so many things about myself that have nothing to do with cancer or coping per se. Like: Lord, I am SO controlling! Did I actually monitor how much real maple syrup my ex-husband poured onto his oatmeal? No wonder it didn't work out!! 4 How does my writing process work? Hot flashes also figure in to the mix. Sometimes I wake up perspiring at 4 a.m. and listen to the muezzin summoning Muslims with the Call to the Prayer. I get up, write, and listen to the chime of church bells. I write some more, squeeze in a load of laundry. Last week I typed to the beat of the folk music belting out of the senior citizen home behind my apartment. I write and revise ad nauseam. I want things to be done right, and I’m willing to tease the text until I deem it spot-on. Excellence is the enemy of the good, I know, and sometimes I should just get it out! But then I reread the sentence because it's just not yet... Sucking on a small piece of dark chocolate often bursts the block. Ideas emerge while I'm submerged under chlorinated water, splashing and kicking, swimming my daily diet of two kilometers of freestyle. I can't write those ideas down so I try to preserve them via a mnemonic, a formula to assist memory. I have also been known to scribble words and ideas on reporter's notebooks or on scraps of paper while watching The Met Opera's Live in HD performance of Prince Igor or reading Charlotte's Web to my kids. Even during a teeth cleaning. No matter where I'm writing, I'm sitting with a back pillow to support my lordosis. That pillow is a godsend! “Mom, she just wants to read something that she’s written!" Now let's meet my fellow Blog Hop writers, a wonderfully eclectic triumvirate, who will be responding to these very same questions on their respective blogs next week. Kelly Rogers Victor is a holistc Health Coach with a Ph.D. in philosophy from Columbia University. She has taught at Columbia, NYU, and University of Floria. She uses philosophy to help others lead an examined life, writing and lecturing on food and nutrition, health, wellness, family, and philosophy as it affects our everyday life. She can visited online, where she blogs, at www.KALEandKANT.com. 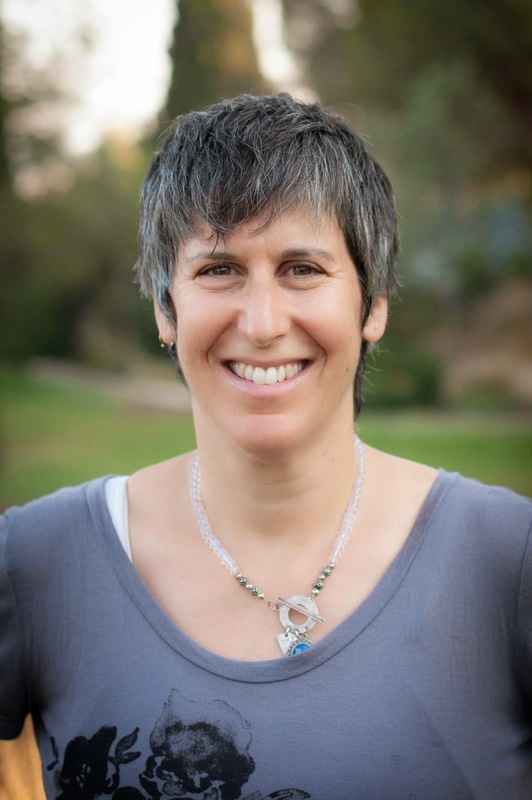 Beth Steinberg is the executive director and co-founder of Shutaf Inclusion Programs, offering year-round informal education programs for children and teens with disabilities in Jerusalem. Shutaf is committed to a teaching model that welcomes all children - with and without disabilities - regardless of educational, religious, cultural and socioeconomic difference. 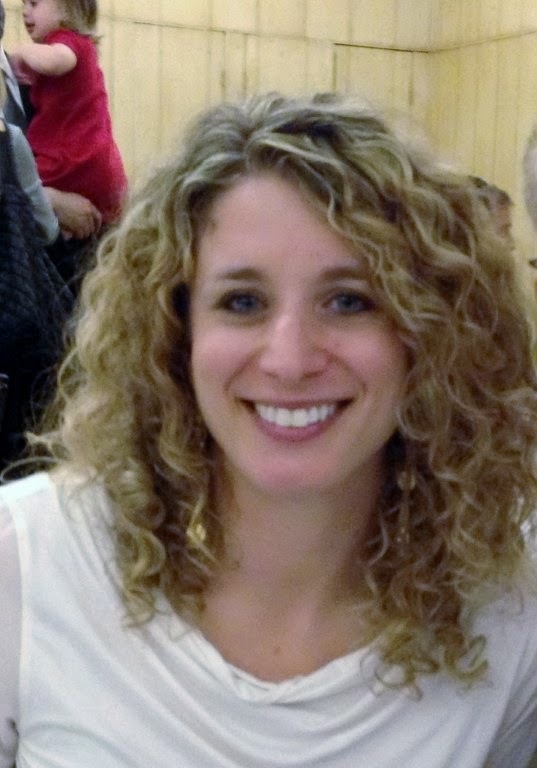 An avid writer about issues related to parenting a child with special needs and accessibility as a social issues, as well as food and cooking, Beth's posts have appeared on the Shutaf blog, Conversation about Inclusion, The Times of Israel and The New Normal: Blogging Disability, as well as other sites. 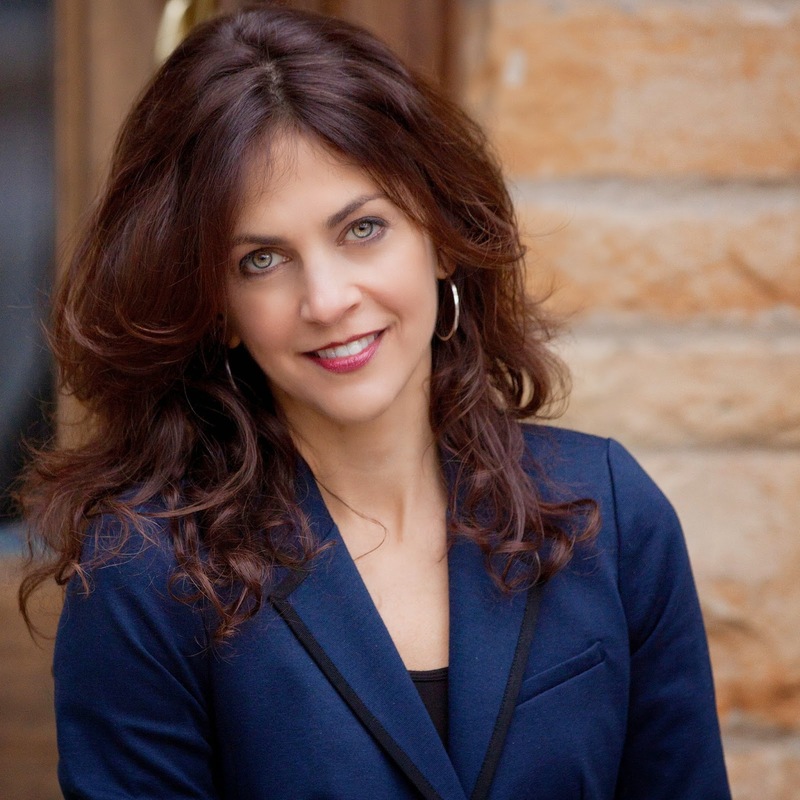 Beth is also the artistic director of Theater in the Rough, creating accessible and affordable theatrical experiences for Jerusalem audiences. Chaya Slain uses language and photography to share her passion for cooking. http://kosherhealthykitchen.blogspot.com Says Chaya, "I have always loved working in the kitchen since I was a little girl. While my day job is in the field of finance, cooking is my creative pleasure, which works out well since I have 8 mouths to feed (I have my four children, two stepchildren, my husband and me.) I originally started this blog for my children, so that they could find my best recipes and menu ideas. I hope that other working moms and dad find creative-yet-easy ways to get nutritious and delicious food on the table. In line with my belief in moderation, you will find some elaborate recipes and a couple of treats, too."